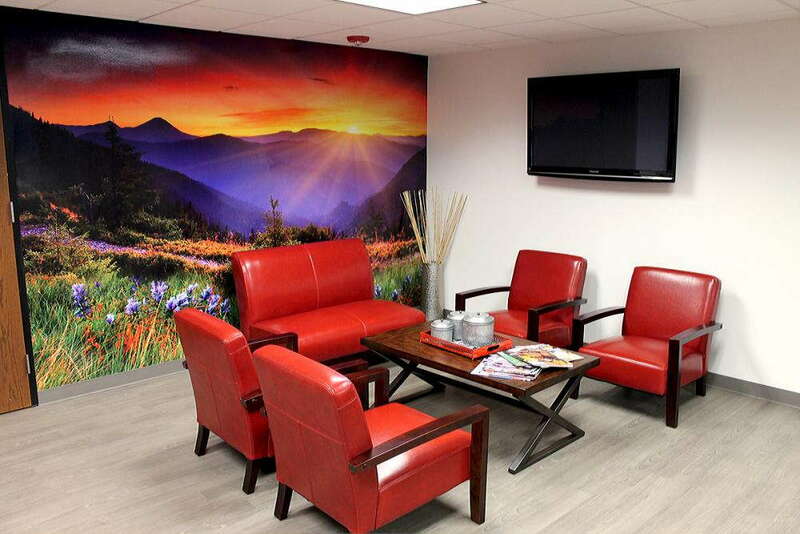 Our staff members at SpeedPro Imaging Westwood are experts at large format printing, and our services include creating wall coverings for businesses. Well-placed and sharply crafted wall art is an underrated element of marketing, as these covers can help build the atmosphere of your business while simultaneously sending a message to both your customers and employees. Once you walk into our studio, we’ll collaborate with you on every detail of your project. We’ll discuss materials, a timetable and your specifications so that you walk away with a clear-cut vision for your business’ image that we’ll be more than happy to deliver on. We offer all manners of interior wall coverings, so once we know your needs, we’ll have a solution prepared to make over your office space. Go BIG with a vibrant mural that covers an entire wall of your reception area. Evoke the desired reaction from those who frequent the space, whether it be relaxation, thoughtfulness, camaraderie or straight up joy. Murals fit anywhere — from universities and sports complexes to restaurants and hospitals — and they come in a variety of materials. We’ll conduct a wall test so that your new mural will last longer and maintain its colors in your environment. If you want something smaller and less permanent, we also provide decals and canvas art. Perhaps you own a sports bar and want to make die-hard fans feel at home. We can produce cut-out figures of the team’s most famous athletes to go with your other decorum. Or maybe you’d like to provide some cut-outs of strong superheroes to give waiting kids some courage at the pediatrician’s office. 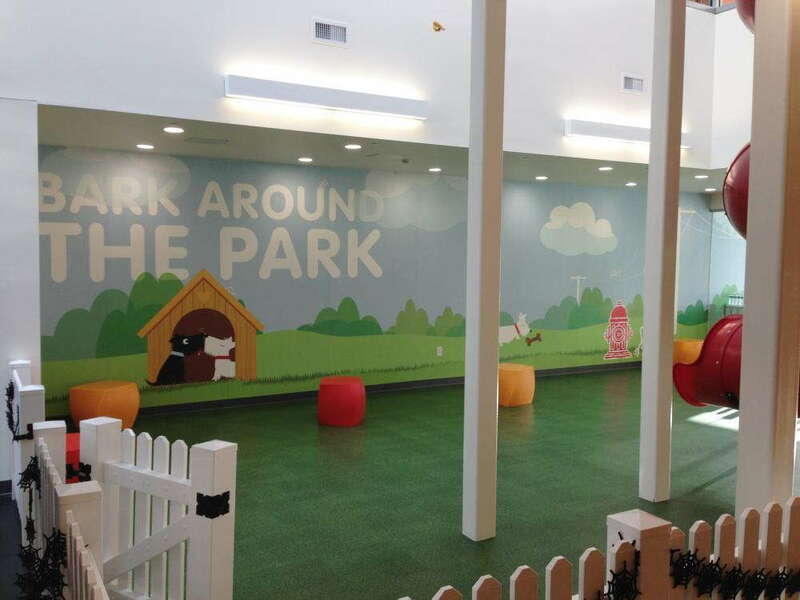 Longer-life decals can also be applied to walls to represent logos or infographics. Canvas art adds a classy flair to your business space and gives off a different feel than other commercial wall coverings. We offer a range of sizes, and materials include polyester, polyester/cotton blend and cotton. You can finish your new paintings in matte or satin. Regardless of what kind of medium you settle on, we’ll utilize our color-matching process to ensure your graphics come out the way you want while maintaining synchronicity with your other branding elements. We print our graphics using a selection of inks that include solvent, eco-solvent, latex and UV. 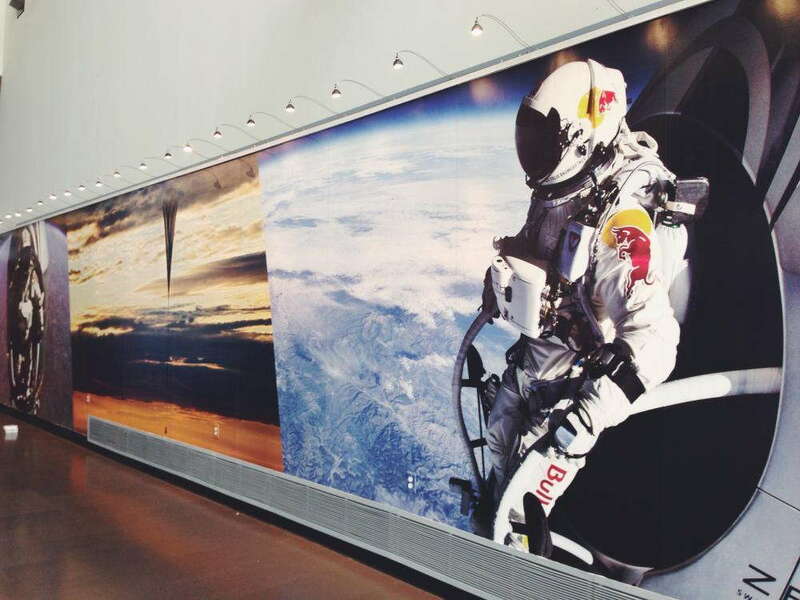 Becoming a partner with SpeedPro Imaging Westwood will open your office space to new possibilities, as our visual communication experts will utilize top-tier printing technology and software to forge custom wall coverings that are durable and high-resolution. Call us today, or travel to our studio at 41 Bergenline Ave. near Pascack Brook County Park to schedule your expert consultation.